Gentle Basics Class - Gentle practice for all levels and ranges of mobility. Please let me know BEFORE 4pm if you are coming to class. You can text or call me at 917-717-1059 or email robin@redrobinyoga.com to RSVP. No classes in inclement winter weather. If there is dangerous winter weather (snow, sleet, ice) we will not have class. I do not want to risk anyone getting injured (including myself!) trying to drive or walk to class in unsafe conditions. Please always check my website for cancelations, www.redrobinyoga.com. Oh my Goodness! Equal parts effort and release, you’ll leave perfectly balanced. Strengthen and lengthen with vinyasa flow for the first half of the class, then melt into your bolster for the second half of restorative postures. Seems the most common request from our goodyogis of late is for poses that counter "iPosture," the painful rounded neck, shoulders and ribcage caused by long hours on our devices. Reverse the curse! Embrace your practice with open arms and leave with an open heart. Vinyasa means “to place in a special way,” though in modern usage it has come to mean “moving with breath.” Simply put, each breath will be paired with a movement. 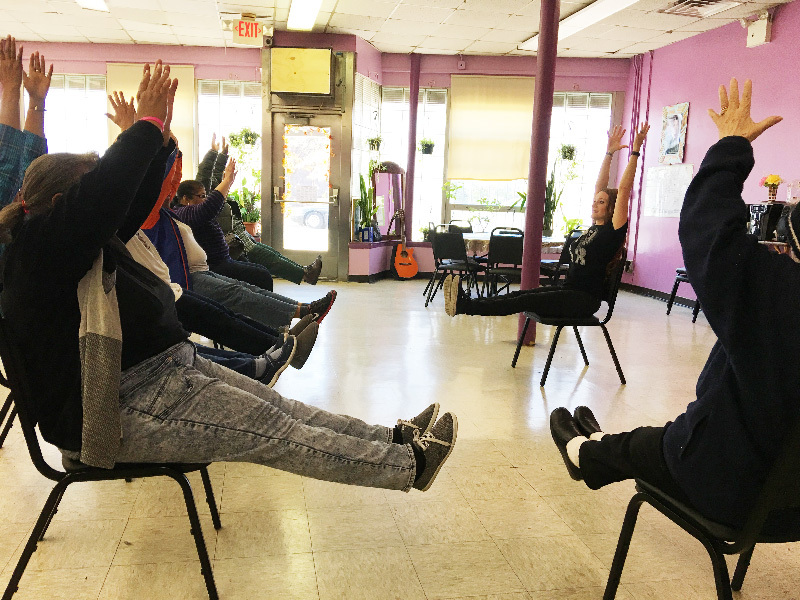 Chair Yoga – Breathing and moving together to increase mobility, strengthen muscles, and feel more at ease is for everyone. If you have limited mobility due to injury, illness or age, join us for our personal, breath-centered, therapeutic chair yoga class. JASA Senior Center in Williamsburg, Brooklyn is located at 202 Graham Avenue, Brooklyn, NY. The spine is the control center for all of the functions of your nervous system. A healthy back is essential in maintaining a balanced lifestyle. This class will explore the asanas with a focus on proper spinal alignment. Seems the most common request from our goodyogis of late is for poses that counter “iPosture,” the painful rounded neck, shoulders and ribcage caused by long hours on our devices. Reverse the curse! Embrace your practice with open arms and leave with an open heart. No classes in inclement weather. If there is dangerous weather (snow, sleet, ice, flood, etc.) we will not have class. Wear comfortable clothes and bring a mat if you have one (I bring a couple extras) and any props you like to use, such as blanket, blocks, bolster, etc. Please, always check my website schedule prior to class for cancellations due to weather, holidays, or other circumstances. Fridays, 11:00am-12:00pm. Open to all seniors age 60 and over. JASA Williamsburg Senior Center is located at 202 Graham Avenue, Brooklyn, NY 11206. People of all ages can enjoy the benefits of yoga. Come join me for a yoga class that is specially designed for seniors to ease discomfort, increase mobility and counter the effects of aging. Any level of movement ability is welcome. No yoga experience is necessary. I offer private classes to students who seek personalized, one-on-one attention. 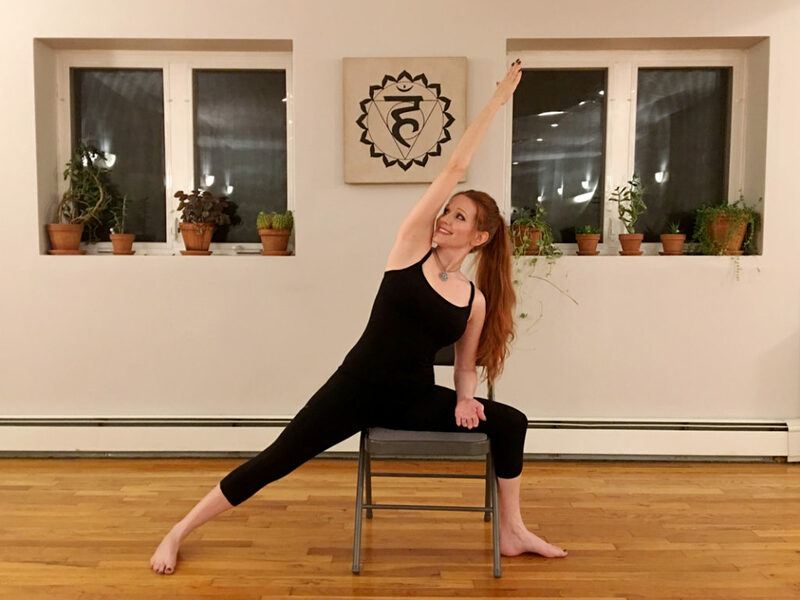 Private instruction can help you to learn the foundations of yoga, (or gain deeper learning), and develop a regular, personal practice that is customized for your individual needs and unique body and mind. Please contact me for availability and rates. I am a certified Next Generation Yoga teacher, and I teach creatively-themed, age-appropriate kids and teens yoga classes both privately and in schools. 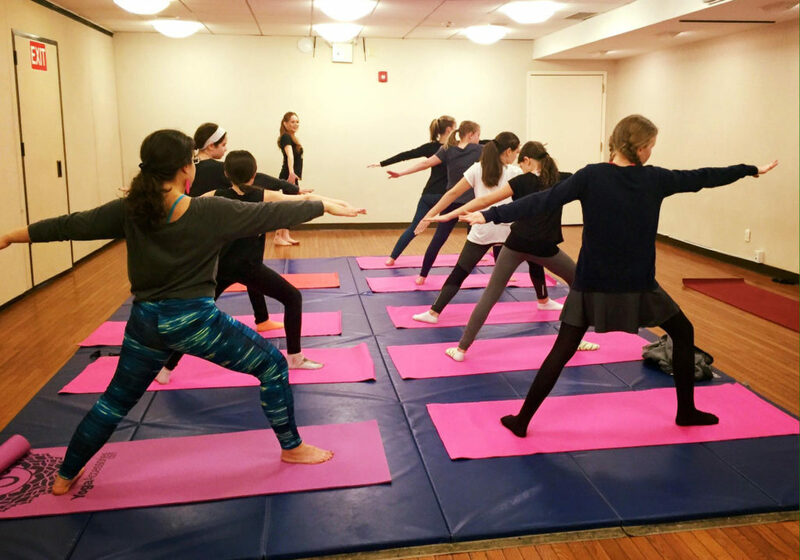 Yoga is a wonderful way for kids and teens to exercise, gain strength and confidence, and develop concentration, relaxation, and self-care practices from an early age. Please contact me for availability and rates.